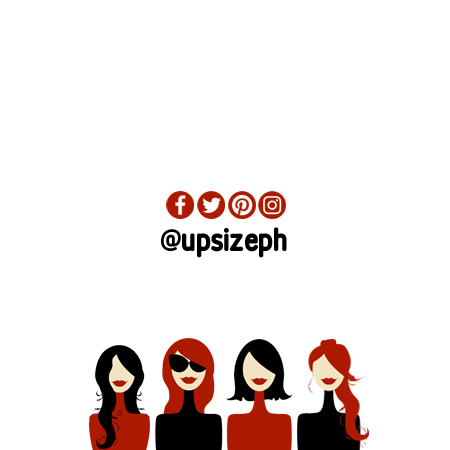 UPSIZE PH | Love VS. Infatuation: What's the Difference? Feb 20 Love VS. Infatuation: What's the Difference? Emotions are a tricky thing to decipher and most of the time we get confused on what we think we’re feeling vs. what we’re actually feeling. Knowing the difference between where your heart is and where your desire is leading you to is a step up the next time you encounter butterflies in your stomach. 1. Infatuation happens instantly. Love is slow to come by. Love at first sight happens only in a blue moon to probably extra special people. Before we love we go to the first base of holding an interest to someone and infatuation comes in the form of a budding love, or so we think. Love isn’t something that happens with a snap of your fingers, you can’t force feelings and it’s a slow process to develop genuine feelings for someone. 2. Infatuation is shallow. Love is genuine and accepting. It could be in the form of personality, looks, money, and etc. Infatuation is attracted to a certain aspect of a person but never their whole being, once a flaw comes in that destroys that attraction you can bet moving on to the next is easier done than said. However, love accepts the flaws and mistakes of a person without judgment. You learn to love certain qualities of a person that others wouldn’t, like how a mother will always accept their child in the end because there is no stronger love than that. 3. Infatuation has ulterior motives. Love only has true intentions. Infatuation is blinded by desire for either material possessions or possessive intentions. People get so blinded by getting what they want that more often than not they have no real interest or concern for the person they have to use in order to get what they want. Love can’t be bought by money or threatened by inflicting fear, love is everlasting and it has a real care for the well being of a person even going as far as to sacrifice their own sake for that person’s happiness. 4. Infatuation holds grudges. Love is forgiving. Infatuation is quick to judge and never buries the hatchet, it always brings out the worst in certain times and uses it in their favor. Love is forgiving in a sense that it gives second chances and is open to reconciliation because it believes that you can’t give up on someone that’s risking it all to have you back. 5. Infatuation has a timeline. Love is long lasting. Infatuation is short-term attraction and a regrettable relationship to get into. It hardly ever lasts long and when it does it doesn’t have the flair and excitement as it did in the beginning. In the long run, love is what you build a future on. It’s having the feeling of being with someone that you want to spend your entire life with and wholeheartedly protect as your equal.